This is unlike any other Wadada Leo Smith record I've heard. It's extremely well focused and makes a real emotional impact. Smith's resurgence in the last 15 years has brought with it a slew of releases and a host of ideas. With his latest, Ten Freedom Summers, Wadada Leo Smith has produced that single masterpiece of both personal and public history. Even more so than his earlier large ensemble work on Tzadik in the mid-nineties. Named for the summer of 1964 when a massive campaign was undertaken to register African Americans to vote, Leo Smith takes a wide look at America's historic struggle over the course of 1954-1964. Where we've come and how far we still have to go. Performed by two ensembles, his Golden Quartet/Quintet and The Southwest Chamber Music, Leo Smith shows off two distinct sides of his compositional skills. 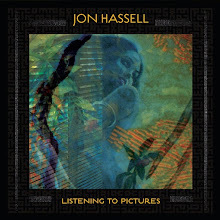 First, his ability to continually write challenging and inspiring music in contemporary settings, and second, a staggering vision for large ensembles. This creativity was on display recently in New York as part of his birthday celebration this past winter. But with Ten Freedom Summers you get the full breath of what the live evening was probably just the rehearsal for. "Dred Scott" is intense, dark and deeply personal. The rolling piano and Leo Smith's fierce trumpet lead the opening salvo. The quintet then proceed through a number frenzied chords which you could say resembles the chaos of the early struggles of African Americans during the late 50s. Leo Smith's playing is supreme here. You can feel this energy and life that overshadows previous efforts of the last few years. As with many of the quintet performances on this epic journey, you get a sense that he has said to the group "challenge yourself." "Emmett Till" and "John F Kennedy" are more extended pieces that quietly carry the listener on a painful yet painful yet spiritual journey. Leo Smith's writing for the larger ensemble piece "John F Kennedy" is astounding. It's fresh and staggering. You might have expected something in the vain of Philip Glass or Steve Reich. Instead it's more Shostakovich or Wagner. Heavy and powerful. "Freedom Summer," "Lyndon Johnson's Great Society," "The Little Rock Nine" rely on the always superb Susie Ibarra to deliver the driving open chords to present a cinematic tale. Anthony Davis on piano, Jim Foschia on clarinet and The Southwest Chamber Music give both pieces a wide open yet haunting sonic texture, with the addition of sharp intersecting lines by Leo Smith. "Democracy," a Golden Quintet piece is the closet thing you'll get to the more recent free jazz aesthetics of Leo Smith's recent work. Leo Smith allows the musicians to roam freely throughout but all lines are squarely focused on the main themes that Leo Smith returns to at the end of piece. Short, concise and elegant tones and passages. Ten Freedom Summers is a piece that should be listened to without thinking about the history, particularly if you are an American. American Jazz has produced a number of historical statements in reaction to oppression and in association to civil/human rights. Wadada has created a document that is about the struggles over adversity that all cultures have and will continue to grapple with. And grapple we shall. Until we truly can say we have overcome. Highly Recommended and a truly staggering work of genius. 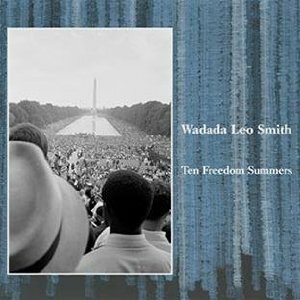 This really ranks up there as one Wadada Leo Smith's best works.